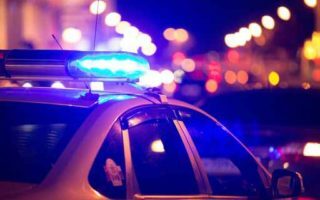 JUNEAU, Alaska (AP) – A 23-year-old Juneau woman died when she was struck by a pickup as she walked along the Glacier Highway. Juneau police did not immediately release the woman’s name. Police shortly before 5:30 p.m. Monday received multiple calls that a pedestrian had been struck on the highway near Brotherhood Bridge in the Mendenhall Valley. Bystanders started CPR on the woman. Emergency responders continued those efforts but the woman died at the scene. Police say the pickup driver was a 60-year-old man from Haines. The post Juneau pedestrian killed by pickup along Glacier Highway appeared first on Newstalk 750 – 103.7 KFQD.